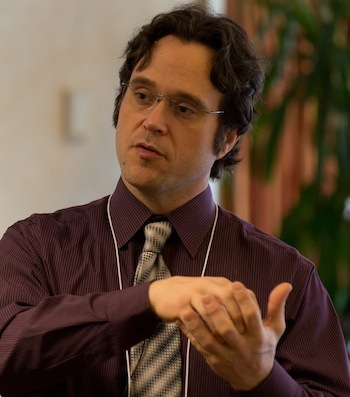 Dr. Brian Barnes holds a Ph.D. in Interdisciplinary Humanities and an MA in Philosophy from the University of Louisville. Barnes is a veteran of the US Army, along with other non-academic careers, and currently teaches face-to-face and online classes at several universities in traditional philosophy topics, along with courses in sustainability, critical thinking, and Japanese sword practice. He has co-authored articles examining critical thinking strategies and tactics for the National Teaching and Learning Forum and is the author of the textbook, The Central Question: Critical Engagement with Business Ethics (2013). Barnes co-hosts the weekly radio show, Critical Thinking for Everyone!, on 106.5 Forward Radio in Louisville, and he also created the critical thinking comic book series, Adventures in Critical Thinking. Dr. Barnes is a Scholar of the Foundation for Critical Thinking, and was a direct student of Dr. Richard Paul.